Can You Microwave Olive Oil? - Is It Safe to Reheat Olive Oil in the Microwave? Can You Microwave Olive Oil? Q: Extra virgin, first cold press, virgin, refined, pure, lampante… So many words to classify olive oil. Most of its grades are for cooking food, others are for baptizing in churches, some are for salads, others for frying, and the lampante can’t be eaten at all. We know that olive oil is a useful natural product, but some of the fantastic recipes demand warming it up a little. Can we microwave olive oil? If yes, will it lose its miraculous properties? Can I Microwave Olive Oil? The answers are always so controversial. Some people tend to reply that microwaving olive oil is just fine, others insist of never doing something that stupid. Here’s the truth to reveal: olive oil can be heated in a microwave oven just in case it is used in small quantities as a part of a complex recipe. You better avoid microwaving olive oil itself in a big bowl, because you risk getting burns. The matter is that the microwave oven is a place where water molecules usually vibrate thus heating up the product. Olive oil contains tiny amount of water so it takes a lot of energy and time to heat it. There’s nothing in it to vibrate! Instead, the bowl may get overheated and hurt you when you’ll be taking the dish out of the oven. 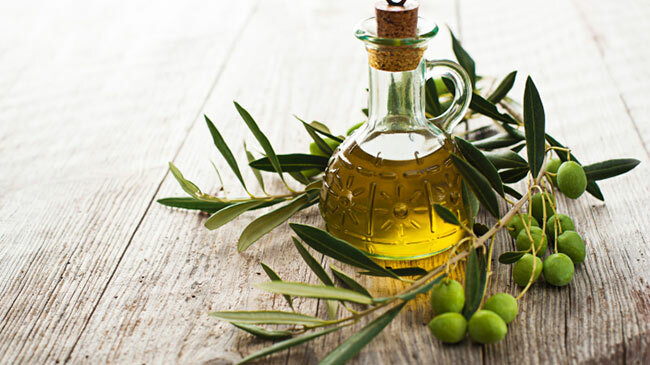 Many nutritionists suggest adding extra virgin olive oil to all of your dishes. But do not fry, boil or microwave it. 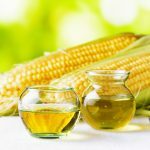 Any heating of olive oil destroys all the good, so your extra virgin oil will transform into normal oil similar in properties with other vegetable products. Nevertheless, do not be discouraged. You can use and still heat in the microwave other types of olive oil to cook a variety of delicacies or even make a hair mask. 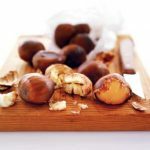 How to Roast Garlic in Olive Oil in the Microwave? Garlic is usually roasted for 45 minutes in the oven, but it will take you as little as 8 minutes to do the same thing in the microwave. Break the lasagna sheets according to the size of the heat-resistant cup in which you will cook it. In a separate bowl, combine water and olive oil. Place the sheets there and send to the microwave for 3-4 minutes. The pasta should be soft. Put the ingredients to the cup in layers like this: tomato sauce, lasagna sheet, a little spinach, finely chopped sausage, and ricotta. Repeat the layers until the cup is full. Sprinkle with grated hard cheese on top. Bake in the microwave for 2-3 minutes at maximum power. 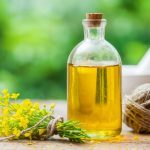 How to Make a Hair Mask with Olive Oil Using Microwave? Mix the oils in a microwave safe glass or a ceramic container. Warm up the mixture in the microwave oven for 20 seconds. Distribute on your hair from roots to ends. Forget about it for 1.5 hours. Wash off with your regular shampoo and enjoy more elastic, shiny and healthy curls! My wife uses olive oil for everything from cooking to hair and skin care. She has always used it in the microwave and I have been getting on her about it because of the mess and telling her it isn’t safe. I had no idea it was okay under most circumstances. I guess I will have to lighten up about it. It can make a mess though so always cover whatever you are putting in there with olive oil! I somewhat assumed you could put this in the microwave but I wanted to make sure. I remember when I was younger, I almost had a fire because I put some oil in the microwave and it kind of made me paranoid. I like to add olive oil to pasta to keep it moist as well as on baked potatoes.